Ring News 24Boxing News Breaking Boxing NewsWill we see a Canelo Alvarez vs. Gennady Golovkin rematch in 2018? Will we see a Canelo Alvarez vs. Gennady Golovkin rematch in 2018? If there is anything that keeps the sport of boxing alive, it is seeing the best fighters in the world square off with one another. Such a thing happened this past Sep. 16, when lineal middleweight champion Gennady Golovkin defended his title against Mexican superstar Saul ‘Canelo’ Alvarez inside of the T-Mobile Arena in Las Vegas, Nev. In a fast-paced matchup, Golovkin got off to an early start and appeared to be dictating several aspects of the fight. To his credit, in the second half of the match, Alvarez began to stand his ground more and ultimately appeared to make the contest competitive. After 12 rounds, scores reading 118-110 Canelo, 115-113 Golovkin, and 114-114 were read, resulting a split-draw verdict that many disagreed with. Whether or not you agree with how the matchup was scored, we can all agree that it was necessary to see the two men face off and that a rematch is needed if we are to settle this rivalry once and for all. 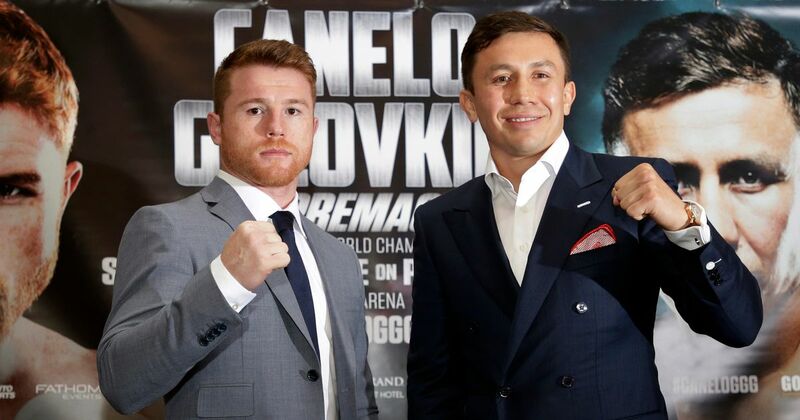 But will a rematch between Golovkin and Canelo actually? To get a closer gauge on an answer to this question, we just have to look at the history of the two men and how the first fight got made. As people know, Golovkin and Alvarez are no strangers to one another and even sparred one another years back while the two were both training in Big Bear, Calif. By all accounts, the sparring was reportedly very low-key work, with not enough happening to really determine anything serious. Plus, Alvarez was extremely young at the time, and has evolved into a much better fighter since then. Interest in a Golovkin vs. Alvarez fight began circulating at least over three years ago. At that time, Golovkin was still pretty fresh into his run as the sport’s best fighter at 160 pounds, as he was racking up victories against the likes of Gabriel Rosado, Curtis Stevens, Daniel Geale, Macro Antonio Rubio, Martin Murray, and others. Alvarez was taking a different path, as in Sep. of 2013 he suffered his first and only defeat as a professional, as he was thoroughly outclassed by former pound-for-pound king Floyd Mayweather inside of the MGM Grand in Las Vegas, Nev. But the loss turned out to be a blessing in disguise, as Alvarez, just 23 at the time, improved following the match. The redheaded Mexican would go on to reel off victories over Alfredo Angulo, Erislandy Lara, James Kirland, Miguel Cotto, Amir Khan, Liam Smith, and Julio Cesar Chavez Jr., who he defeated this past May. One thing that stood out about possibility of Golovkin vs. Alvarez happening was that, when Golovkin and his team called for the bout following Alvarez’s victory over Amir Khan in May of last year, Canelo and his promoter, Golden Boy Promotions, seemed interested. Yet, as negotiations for the match were discussed, it appeared increasingly likely that Golden Boy President Oscar De La Hoya was trying to push the match back for at least another year. And that’s probably why we did see Golovkin vs. Canelo, but in Sep. of 2017 instead of 2016. If you read all reports online, Golovkin appears to be fully ready for the contest right now. And in the wake of the backlash that came from a fight in which many had him losing, perhaps Alvarez’ and Golden Boy are still thinking if they really want to risk it all again. Hopefully we will have our answer within a few months.